Ultimately, a business cannot focus on building a product with great UX alone; the companies who thrive are those who are able to create exceptional experiences while solving major pain points for customers. I recently met with an entrepreneur who wanted to get some feedback on a pretty significant pivot in his startup’s strategy – shifting from solely B2B to a B2B/B2C model. His company tackles a huge inefficiency in the corporate employee transportation space, which is a relatively crowded space. While this company has been generating decent traction over the last year and has signed on multiple big corporations as customers, they realized that by operating in a B2B model, they were missing out on 70% of the employees’ transportation needs. When they asked me for my thoughts on this pivot, the first thing that came to mind was the spread of feedback within the company – if he is going to be marketing directly to the employees, then word of mouth amongst the social circles within the corporation is probably going to be a heavy determining factor in the adoption of this new form of transportation. Those word of mouth reviews will be driven by these employees’ overall experiences with his company. I asked him how they were designing these experiences for their customers. His response: “We have a great UX guy – he pays a lot of attention to the layout of the app, even down the fonts we use”. That was not quite what I had in mind. Think about it this way: studies show that 25% of customers will defect from using a company’s product/services after just one negative experience, 30% of customers will share a bad experience either online or with friends, and 19% will not trust a company after just one bad experience. This has serious ramifications for every company that is trying to acquire customers and reduce churn. This is a big deal. What this entrepreneur is trying to do is change people’s habits – one of the most difficult things for a startup to do. Even for early-stage startups, deeply understanding customers and being able to enhance the interaction between the company, product and its customers is absolutely necessary to garner the enthusiasm and usage necessary to generate traction and acquire customers in the long run. The Customer Experience (CX) is something that we emphasize throughout VentureBasecamp, our startup entrepreneurship program for incubators that trains and supports incubator managers while upskilling early-stage startups in building the foundations of strong, sustainable ventures. The program is developed by veteran entrepreneurs who have a combined 70+ years experience in entrepreneurship with over 200 startups and have generated over $20 billion in market capitalization in their own ventures. We’ve found that not nearly enough early-stage startups even consider customer experience when they are just launching their ventures. The reality is that those who do, stand a far higher likelihood of being successful over those who don’t. (1) is this product able to solve my customer’s problem – is it useful? 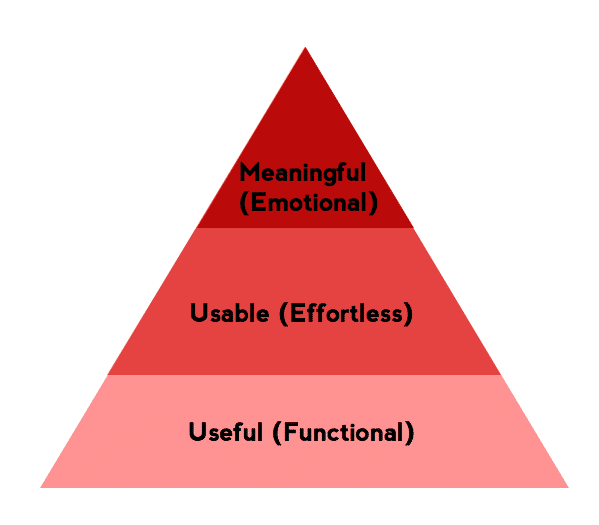 (2) can the customer use it effortlessly (UX) – is it usable? (3) does it create a positive emotional pull that keeps my customer coming back again and again – is it meaningful and habit forming? That’s where customer experience comes into play. We can define the Customer Experience as the intersection of business viability, technological feasibility, and (most importantly) desirability by customers – ultimately, it’s about how a customer interacts with an organization and not just the usability of the product itself. The Customer Experience is composed of a series of touchpoints between a customer and the venture, which is known as the Customer Experience Journey (or CXJ for short). The reality is that a customer’s experience (i.e. customer retention and evangelism) is not isolated to touchpoints. It’s the aggregation of all of these different touchpoints that make up an experience, so even if there is just one little touchpoint where a customer’s experience is terrible, it affects the entire overall experience of a customer. 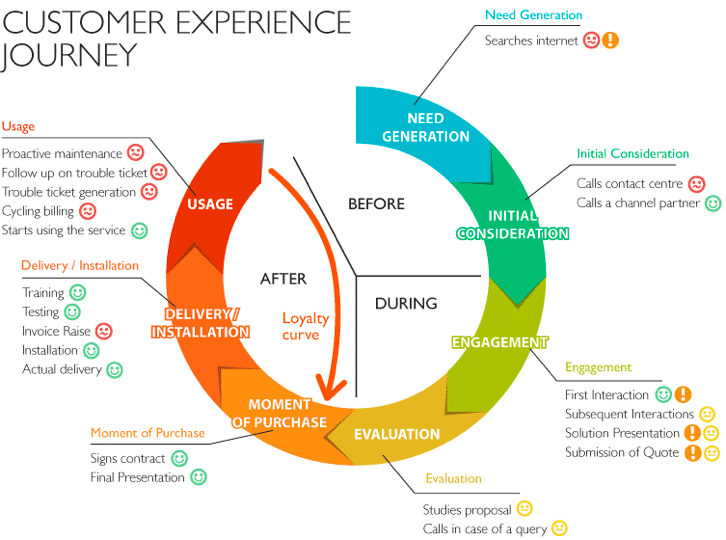 In order to help entrepreneurs think about their customers’ experiences in a different light, we recommend what’s called “customer experience journey mapping”, which maps out each interaction, or touchpoint, a customer has with a company from initial contact to adoption and ideally a lasting relationship and continued usage of the product/service being provided. At the core of customer experience is human psychology. The key to transforming your customer’s experience is to deeply understand your customers, which is something that simply cannot take place behind closed doors. How do they make their decisions? What are their goals and motivations? What do they like to do? What are their day-to-day lives like? What incentives do they respond to? You have to go and talk to customers, engage with them and then look your startup through their eyes. A great Customer Experience Journey can be seen at Function of Beauty, a company from Y Combinator’s 2015 batch, which makes personalized hair care products. You log onto their website and you get to take a ‘hair quiz’ that defines your hair profile and what you want your hair to look/feel like. Then you get to design your product’s fragrance and colours that all get whipped up into a personalized product. Their product combination algorithm can generate up to 12 billion unique combinations, so it is designed by you and just for you. The interactions with the employees, or what were probably automated engagements, were quick, efficient and made me feel great. When you receive your shipment, it’s like opening a gift – the shampoo bottles have your name on it in a font that looks nearly handwritten and a note, nestled in decorative confetti. I loved every minute of it – not just because of the product, but the overall experience was absolutely lovely. It was so apparent that the company puts incredible amounts of effort into ensuring that my experience was delightful, and that far surpasses just UX. It’s rare to see that kind of attention to detail coming from most startups, and it shouldn’t be that way. What great CX requires is getting out of product-mode or entrepreneur-mode and taking a truly impartial look at your startup from your customer’s perspective. Where’s the push for CX in impact? After the conversation I had with that entrepreneur, I started thinking about the types of companies that Unitus Ventures (formerly Unitus Seed Fund) gets approached by on a regular basis and whether or not they place an emphasis on CX, or better yet, Customer Experience Journey (CXJ) in the way that they should. In the impact world, we’re primarily focused on solving big problems and helping improve people’s lives. But do the companies we see stop to think about CXJ in the same light as, let’s say, a company like Function of Beauty? If we go back to the hierarchy of customer needs (fig. 1) with respect to impact startups, the strong majority of companies focus on the lowest rung of the pyramid – does it solve the problem? Is it useful? While that is incredibly important, just stopping there will only hurt a company in the long run when trying to scale. In order to actually acquire customers successfully, the experience also has to be effortless and meaningful. As many impact ventures seek to serve segments of customers that are far more price sensitive, more risk averse and are less inclined to adopt new habits/technologies, being able to define and refine a positive customer experience can make or break them. How many impact startups seriously think about their customers’ experiences in terms of CXJ? A few of our consumer-facing portfolio companies like Hippocampus Learning Centres and DriveU do invest heavily in the area of CXJ. But looking broadly in the area of impact, my bet is not many do. And it shouldn’t be that way because building great customer experiences is a company’s ultimate test of how well they truly understand and empathize with their customers. The impact sector should be talking about building great experiences, not only for those who can afford things like superfluous shampoos, but for every segment of society as well. For the customers of impact startups building solutions in education, healthcare, fintech, etc., a great experience shouldn’t just be reserved for the privileged – plus, it’ll make a huge difference in a company’s bottom line. This article was originally published on Inc42.